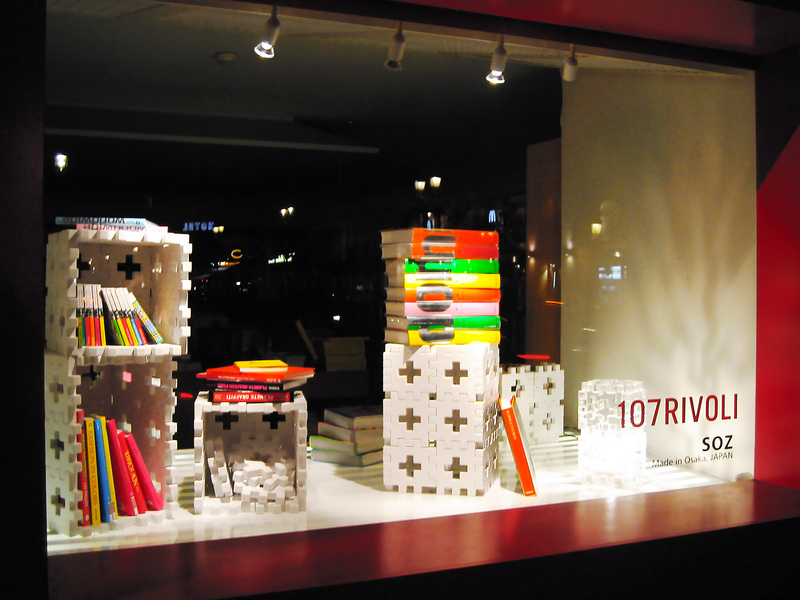 We displayed items in the window of 107 rue de Rivoli, a shop in the museum of Les Arts Décoratifs in Paris. 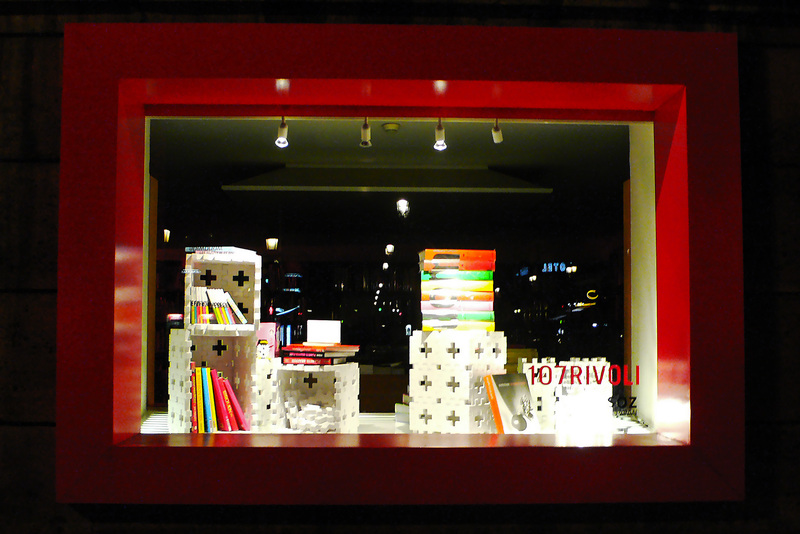 SOZ ELEMENTS [BOLD] appeared as the main item in their shop windows and was displayed in coordination with other items selected by the shop staff. 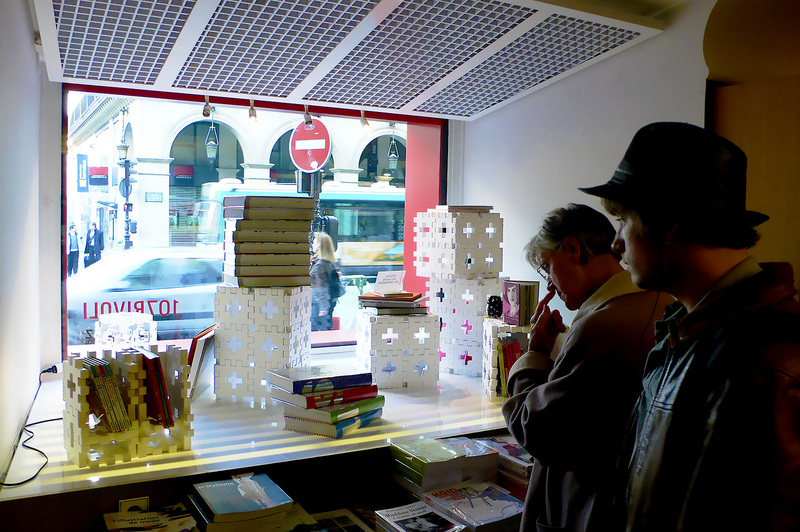 It decorated main street in Paris during a one-month period.